PogKnits: Look what I did today! I finished carding the Sushi Club Rambouillet. I will likely start spinning this during the hockey game tonight. I'll need something to take the edge off the excitement of the Habs endeavor to win against Sid the Kid. Go Habs, Go! 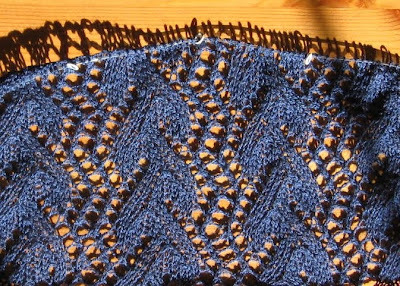 I'm now at 15 repeats of the Print O' the Wave Shawl. 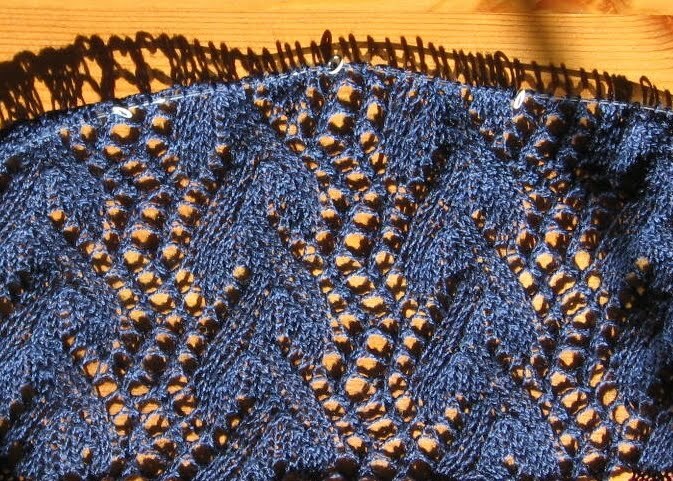 It's just as fun as it was, but had sat idle for a bit until I picked it up again after finishing my Fountainhead Scarf.